Mini Jumbo Toilet Rolls | Fourstones - A Paper Product Manufacturer. 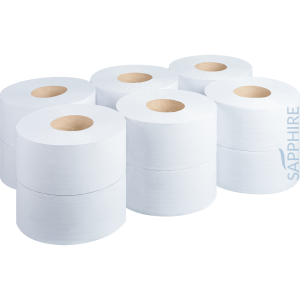 Sapphire Mini Jumbo Toilet Rolls are made in the UK with 100% recycled Fourstones white toilet tissue. 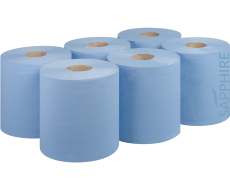 Each Roll is soft and breaks down easily once flushed, the perfect answer to mini jumbo dispensers. 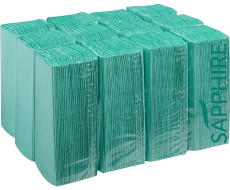 Available in lengths of 150m and 200m, both lengths can be supplied with either 2.25” (57mm) or 3” cores (76mm) to fit your customer’s dispenser needs.